We use natural, wild-harvested and organic certified ingredients from the highest quality plant sources around the world. 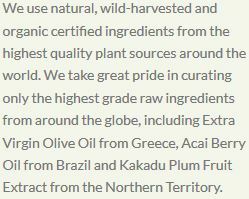 We take great pride in curating only the highest grade raw ingredients from around the globe, including Extra Virgin Olive Oil from Greece, Acai Berry Oil from Brazil and Kakadu Plum Fruit Extract from Australia. Extracted from the fresh olive pomace, which includes the skin, pulp and pit of certified organic olives sourced from Greece and the Mediterranean. 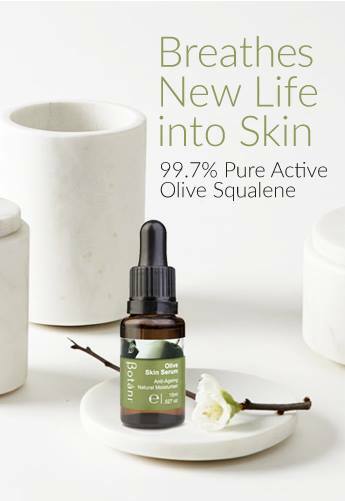 A skin-biocompatible ingredient, Olive Squalane mimics our skin’s very own in-built moisturiser. Using Olive Squalene topically replenishes skin’s hydration and acts as a natural anti-ageing cell rejuvenator. Olive Squalene is used in our oil-based serums, whilst Olive Squalane is used in our cream based products (to prevent oxidation). The Betaine we use at Botani is 100% derived from Sugar Beets. It is also a skin-biocompatible ingredient because it is naturally-occurring in the skin; maintaining intracellular skin hydration. Unlike traditional humectants, which draw moisture from the environment, Betaine adds hydration directly due to its rich source of saccharides – binding moisture and improving skin elasticity. A plant active cold pressed from Crambe seeds. It has higher quantities of Erucic Acid than Jojoba oil – a monounsaturated Omega-9 Fatty Acid which provides a nourishing serum-feel without the greasy texture. An active lubricant and emollient, Crambe is a natural alternative to mineral oils and silicones. It reinforces the skin’s barrier function, preventing your skin from moisture loss and dehydration. Euterpe Oleracea Fruit Oil is is the oil expressed from the fruit of the Cabbage Palm, Euterpe oleracea, Arecaceae. Powerful antioxidant & anti-inflammatory properties. Protects the skin against free radical damage during the inflammatory process, rich in Omega 6 and Omega 9 essential fatty acids, phytosterols, vitamins, minerals and essential amino acids. Aloe Barbadensis Leaf Juice is the juice expressed from the leaves of the aloe, Aloe barbadensis, Liliaceae. Anti-inflammatory, soothing, high in vitamins & minerals. Pyrus Malus Fruit Extract has keratolytic and antiseptic properties. Apple fruits contain an anti fungal constituent. Reduces skin inflammation and helps in removing dead skin fragments. Arnica Montana Flower Extract is an extract of the dried flower heads of the arnica, Arnica montana L., Asteraceae. Prunus Armeniaca Fruit Extract is an extract of the fruits of the Apricot, Prunus armeniaca L., Rosaceae. High in unsaturated fatty acids such as Linoleic acid, highly emollient with skin softening and moisturising properties. Avena Sativa Bran is the broken coat of the kernels of the Oat, Avena sativa L., Poaceae. Oat bran is the outer layer of the oat grain, just beneath the inedible husk. A food grade exfoliant. 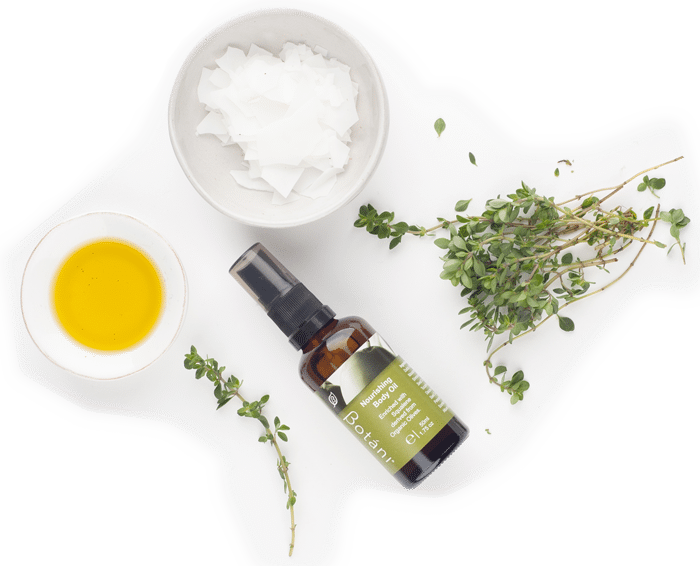 Rich in minerals and trace nutrients such as silica, magnesium, phosphorus, chromium, iron, calcium, alkaloids, protein, the vitamin B complex, and vitamins A and C .
Backhousia Citriodora Leaf Oil is the volatile oil obtained from the leaves of Backhousia citriodora, Myrtaceae. A natural botanical aromatic. Potent anti-bacterial, anti-fungal and anti-viral. amygdalus var. dulcis, Rosaceae. Sweet almond oil is full of vitamin E, vitamin A, monosaturated fatty acids, protein, potassium, and zinc. gratissima, Lauraceae. It consists principally of the glycerides of fatty acids. Regenerates and softens the skin from the outside. It is easily absorbed into the skin and has emollient properties. Relieves the dryness and itching caused by psoriasis and eczema. Persea Gratissima Oil is the fixed oil obtained by pressing the dehydrated sliced flesh of the avocado pear, Persea gratissima, Lauraceae. It consists principally of the glycerides of fatty acids. Bentonite is a colloidal clay that consists primarily of montmorillonite. Treats acne and prevents breakouts and Black heads, unclogs and shrinks the pores, evens out skin tone. Natural benzyl alcohol can be derived from an abundance of natural resources such as almonds, apricot kernels, and flowers (most commonly lilacs). A natural preservative. Derived from Chamomile. It acts as an anti-inflammatory and helps to soothe and calm the skin. Bisabolol has a weak sweet floral aroma. Enables skin to retain its elasticity and smoothness for longer, highly effective for ageing skin, high in antioxidants. Betaine is a naturally occurring nutrient found in most plants and animals; it serves as an osmolyte that protects against dehydration & stress associated with cell water loss. Offers excellent moisturising properties while reducing stickiness in skincare products. Rosa Damascena Flower Oil is the volatile oil obtained from the flowers of the Damask Rose, Rosa damascena, Rosaceae. Anti-inflammatory agent and tissue regenerator. High in antioxidants, highly moisturising and calms redness. Promotes positive emotional wellbeing. Arctium Lappa Root Extract is an extract of the roots of the Burdock, Arctium lappa L., Asteraceae. Burdock Root is traditionally used for the treatment of skin eruptions, such as acne and skin conditions, such as psoriasis and dry scalp. It is also known for its ability to relieve bruises and inflammation. Calendula Officinalis Flower Extract is an extract obtained from the flowers of the Calendula, Calendula officinalis L., Compositae. High moisturising properties repair and soothe dry skin. The antiseptic and antimicrobial action of the oil help to speed up healing of wounds and skin infections. Anti-inflammatory and nourishing properties assist with skin conditions such as eczema, psoriasis and dermatitis. Derived from coconut. Creates a barrier on the skin which helps skin to retain moisture. Daucus Carota Sativa Seed Oil is the oil obtained from the seed of the carrot, Daucus carota L. var. sativa, Umbelliferae . Contains high levels of Beta-carotene (Vitamin A), rejuvenating and rehydrating healing oil. Anti-ageing properties. seaweed, Rodophyceae. Antioxidant, anti-viral and full of vitamins and minerals. Cetearyl Olivate is the ester of Cetearyl Alcohol and the fatty acids derived from olive oil. PEG free, non-ionic,oil-in-water natural emulsifier. Part of a ‘good’ alcohol family called wax alcohols or fatty alcohols; typically derived from natural fats and oils, like coconut oil. They’re found in nature as waxes, so they’re rich in skin-healthy fatty acids. Works as an emollient, emulsifier, thickener and carrying agent for other ingredients. keeps the oil and water parts of an emulsion from separating, and gives products good spreadability. Derived from coconut oil. An emulsifier that binds water and oils together. Chamomilla Recutita Extract is the extract of the whole plant of the Matricaria, Chamomilla recutita (L.), Asteraceae. Soothing and calming, anti-inflammatory, anti-itching. Green pigment found in plants and algae. Promotes wound healing and fights bacteria. A naturally occurring flavour and fragrance found in a variety of different food sources, including spices, herbs and fruit and also as a component of natural essential oils. A naturally ocurring essence derived from plants such as rose, geranium and lemongrass. Natural surfactant derived from Coconut. Not to be confused with Cocamidopropyl Betaine. Skin-conditioning agent naturally derived from coconut oil to provide hydration, superb spreadability and elegant slip, bio-compatible with human skin. Coco-Glucoside is the product obtained by the condensation of coconut alcohol with glucose. Works as a surfactant, foaming agent, conditioner and emulsifier. It helps increase the foaming capacity of a solution and it keeps the oil and water parts of an emulsion from separating. Cocos Nucifera Oil is the fixed oil obtained by expression of the kernels of the seeds of the Coconut, Cocos nucifera L., Palmaceae. An abundant source of fatty acids which aid in conditioning hair and providing skin with deep hydration by locking in moisture. It is rich in antioxidants and vitamins A, C and E that help protect against free radical damage. It has anti-microbial properties that kill bacteria on the skin and will help reduce acne breakouts. It is one of the most powerful anti-aging ingredients in nature. Coffea Arabica Seed Extract is an extract of the beans of the Coffee plant, Coffea arabica L., Rubiaceae. Natural botanical aromatic. Crambe Abyssinica Seed Oil is the oil expressed from the seeds of Crambe abyssinica, Brassicaceae. An active lubricant and emollient, natural alternative to mineral oils and silicones, restores soft skin and protects from drying, restores hair shine and gloss, conditions hair and reduces breakages. Ericaceae. Excellent source of vitamin C, high levels of antioxidants. Cucumis Sativus Extract is the extract obtained from the whole plant of the Cucumber, Cucumis sativus L., Cucurbitaceae. Cooling and soothing properties. Cucumis Sativus Seed Oil is the fixed oil expressed from the seeds of the cucumber, Cucumis sativus L., Cucurbitaceae. A non-greasy oil that is balancing, highly emollient and encourages skin cell regeneration. This oil is rich in phytosterols, tocopherols, tocotrienols, and fatty acids and excellent for sensitive skin. Echinacea Angustifolia Root Extract is the extract of the roots of the Coneflower, Echinacea angustifolia, Asteraceae. Antibacterial, anti-inflammatory. Euphrasia Officinalis Extract is an extract of the aerial parts of the Eye Bright, Euphrasia officinalis L.,Scrophulariaceae. Anti-inflammatory and soothing properties. Oenothera Biennis Oil is the fixed oil derived from the seeds of the Evening Primrose, Oenothera biennis, Onagraceae. High in essential fatty acids, anti-inflammatory and moisturising. We use natural edible flavours: passionfruit rose flavour, coconut flavour and acai berry flavour. Labiatae.Natural botanical aromatic; anti-inflammatory, soothing and calming. A naturally occurring fragrance compound found in oil-of-rose, citronella oil, and in the essential oils of geranium and lemon. Antimicrobial, skin conditioning, derived from coconut. Plant derived natural humectant, attracts moisture. GMO Free. Vegan and palm oil free. Hydrastis Canadensis Root Extract is an extract of the roots of the Goldenseal, Hydrastis canadensis L., Ranunculaceae. Natural emollient, anti-bacterial, anti-inflammatory, healing. Centella Asiatica Extract is the extract of the whole plant Hydrocotyl, Centella asiatica L., Apiaceae. Anti-inflammatory, wound healing. Citrus Grandis Seed Extract is an extract of the seeds of the Grapefruit, Citrus grandis, Rutaceae. Broad spectrum anti-microbial, produced from seeds and pulp of Grapefruit, plant-based preservative. Exfoliant, detoxifying, deep-cleansing. Stimulates the skin and removes impurities from the epidermis (outermost layer of skin cells). The clay works by adsorbing impurities from the skin cells, by causing dead cells to slough off, and by stimulating the flow of blood to the epidermis. As the clay dries on the skin, it causes the pores to tighten and the skin to feel firm. Cyamopsis Tetragonoloba Gum is a resinous material derived from the ground endosperm of the Guar, Cyamopsis tetragonoloba L., Leguminosae. The Guar or cluster bean, is an annual legume and the source of guar gum. It is also known as Gavar, Guwar or Guvar bean. The Guar Gum is a non-toxic emulsifier that binds to liquids. Acacia Senegal Gum is the dried, gummy exudate of the acacia, Acacia senegal, Leguminosae. In skincare, it forms protective matrix over the skin that retracts rapidly upon drying and gives an immediate line diminishing effect. This tensing effect leads to a visible decrease in wrinkle depth, which gives skin a younger and smoother appearance. Equisetum Arvense Extract is an extract of the sterile caules of the Horsetail, Equisetum arvense L., Equisetaceae. High silica content, astringent, tissue healer, enhances skin elasticity. Protein hydrolyzates, soya. Substance obtained by acidic, alkaline, or enzymatic hydrolysis of soya composed primarily of amino acids, peptides, and proteins. Regenerating, anti-ageing and softening properties. Non-GMO, derived from soyabeans. Sodium salt of Hyaluronic Acid, a natural component of human skin. Locks moisture deep into the skin, preventing transepidermal water loss. This results in improved skin elasticity, the reduction of appearance of fine lines and wrinkles, softer and more supple skin. Protein hydrolyzates, wheat germ. Substance obtained by acidic, alkaline, or enzymatic hydrolysis of wheat germ composed primarily of amino acids, peptides, and proteins. Water soluble protein derived from wheat, it penetrates the cortex of each strand. It strengthens and moisturizes hair, increases it’s ability to receive and maintain moisture. Jojoba Beads are derived from the jojoba shrub, which grows in the wilds of the deserts in the southern part of the United States, and the northern part of Mexico. More specifically, they are native to the desert region of southeastern Arizona but are also found in the Mojave Desert in California.They are very similar to the natural oil and waxy materials produced by the sebaceous gland, called sebum. Jojoba Beads also help to deliver other ingredients deep into the pores. Simmondsia Chinensis Seed Oil is the fixed oil expressed or extracted from seeds of the desert shrub Simmondsia chinensis, Buxaceae. Replaces minerals and oils, hydrates, emollient. Terminalia Ferdinandiana Fruit Extract is an extract of the fruit of the Terminalia ferdinandiana, Combretaceae. It Contains one of the highest sources of Vitamin C and is packed with powerful polyphenols. The fruit is wild harvested by Indigenous communities exclusively in the Kimberleys, Northern Territory and Arnhem Land. Spike Oil. Lavandula Latifolia Herb Oil is an essential oil distilled from the flowering herbs of the Lavender, Lavandula latifolia (syn: Lavandula spica), Labiatae Natural botanical aromatic with anti-inflammatory, soothing and calming properties. Leptospermum Petersonii Oil is an essential oil obtained from hydrodistillation of the leaves of the plant, Leptospermum petersonii, Myrtaceae. Syn. Australian Lemon scented Tea tree oil. Natural botanical aromatic with broad spectrum anti-bacterial, antiseptic properties. Glycyrrhiza Glabra Root Extract is an extract of the roots of the Licorice, Glycyrrhiza glabra L., Leguminosae. Anti-inflammatory, brightening and soothing properties. The complex combination of diglycerides of fatty acids linked to the choline ester of phosphoric acid. Emulsifier, antioxidant, softens and improves skin texture and moisture. Soya derived. Backhousia Citriodora Leaf Oil is the volatile oil obtained from the leaves of Backhousia citriodora, Myrtaceae. An aromatic, potent botanical with anti-bacterial, antiseptic and antifungal properties. A natural fragrance from Lime. Macadamia Ternifolia Seed Oil is the fixed oil obtained from the nuts of the Bushnut, Macadamia ternifolia, Proteaceae. It consists primarily of the glycerides of the fatty acids . A healing oil, it keeps skin supple and hydrated. Citrus Reticulata Peel Oil is the volatile oil obtained from the peel of tangerine, Citrus reticulata, Rutaceae. Natural botanical aromatic. Tonifying properties. Moringa Pterygosperma Seed Extract is is an extract of the seeds from the tropical tree Behen, Moringa pterygosperma, Moringaceae. A Commiphora Myrrha Oil is the volatile oil obtained by the steam distillation of the Myrrh, Commiphora myrrha, Burseraceae. Anti-bacterial, skin healing and natural aromatic. Natural Sugar Beet Extract is derived from Sugar Beet (Beta vulgaris) using a water extraction method. Antioxidant properties. Sourced from Sunflowers. GMO and Wheat free. Avena Sativa Bran Extract is an extract of the bran of the Oat, Avena sativa L., Poaceae. Oat bran is the outer layer of the oat grain, just beneath the inedible husk. A food grade exfoliant. Rich in minerals and trace nutrients such as silica, magnesium, phosphorus, chromium, iron, calcium, alkaloids, protein, the vitamin B complex, and vitamins A and C .
Citrus Aurantium Dulcis Peel Oil is the volatile oil obtained by expression from the peel of Citrus sinensis, Rutaceae. Olea Europaea Fruit Oil is the fixed oil obtained from the ripe fruit of the Olive, Olea europaea L., Oleaceae. It consists primarily of the glycerides of the fatty acids linoleic, oleic and palmitic. Highly emollient, rich in antioxidants, healing, naturally antibacterial, non-irritant – excellent for dry, dull skin prone to sensitivities. The fraction of olive oil which is not saponified in the refining recovery of olive oil fatty acids. Nurtures and hydrates. Rich in vitamins, minerals antioxidants & essential fatty acids, heals & conditions skin. Olea Europaea Leaf Extract is the extract of the leaves of the Olive, Olea europaea L., Oleaceae. Packed full of antioxidants, antibacterial and anti-inflammatory properties. Elaeis Guineensis Oil is a natural oil obtained from the fruits of the Palmoil Tree, Elaeis guineensis, Palmaceae. Grown in organic, sustainable palm tree plantations, ethically sourced from Santa Marta, Columbia, NOT from Malaysia or Thailand. Has conditioning qualities, hardens soap shape and form. RSPO approved. Plant-derived surfactant, cleansing agent, emulsifying agent, and emollient. Plant-derived, natural edible flavour that also imparts a fruity fragrance. Carica Papaya Leaf Extract is an extract of the leaves of the Papaya, Carica papaya L., Caricaceae. Anti-fungal, antibiotic and anti-inflammatory properties. Contains vitamin A, C and E.
An Ecocert approved ingredient; prevents or retards bacterial growth, and thus protects cosmetics and personal care products from spoilage. Phenethyl Alcohol also imparts a natural fragrance to a product. Natural preservative (from blueberries). Food grade preservative. Santalum Acuminatum Fruit Extract is an extract of the fruit of Santalum acuminatum, Santalaceae . The “Quandong” is a unique Australian fruit found widely throughout the deserts, and semi-arid areas of Southern Australia, often referred to as it’s Aboriginal name – “Goorti” (Nurungga), or ‘Native Peach’ and has been used by Indigenous communities for centuries. It is known for its Anti-inflammatory action that reduce the appearance of fine lines and wrinkles, as well as its antimicrobial, antioxidant and anti-inflammatory properties. It also behaves like an alpha-hydroxy acid (AHA). Carrageenan is the plant material obtained from various members of the Gigartinaceae or Solieriaceae families of the red seaweed, Rodophyceae. Axtracted from red edible seaweeds. Antioxidant, anti-viral and full of vitamins and minerals. Oryza Sativa Bran is the broken hulls of the Rice, Oryza sativa L., Poaceae. Natural anti-ageing and oil-absorbing properties; good for oily or acne-prone and dull mature skin. An anti-inflammatory and skin whitening agent. Anthemis Nobilis Flower Oil is the volatile oil distilled from the dried flower heads of the Roman Chamomile, Anthemis nobilis L., Asteraceae. A natural botanical aromatic and anti-inflammatory. Pelargonium Roseum Leaf Extract is an extract obtained from the leaves of the plant, Pelargonium roseum, Geraniaceae. It contains geraniol esters (20-35% as geranyl tiglate), citronellol, some linalool. Skin balancing and anti-inflammatory assists with acne and calms sensitive skin. This sweet-smelling oil is mood boosting, lessens fatigue and promotes emotional wellness. A non-irritant and non-sensitizing — great for dry and inflamed skin conditions. Rosa Canina Fruit Oil is an oil from the Hip Rose, Rosa canina L., Rosaceae. High in Essential fatty acids, moisturising. Santalum Album Oil is the volatile oil obtained from the heartwood of the Sandalwood, Santalum album L., Santalaceae. Natural botanical aromatic with anti-microbial and hydrating properties. Sea Salt is a mixture of inorganic salts derived from sea water or from inland bodies of salt water. Butyrospermum Parkii Butter is the fat obtained from the fruit of the Shea Tree, Butyrospernum parkii, Sapotaceae. High concentration of natural vitamins and fatty acids make it incredibly nourishing and moisturising for skin. Excellent for dry, dull and mature skin. Soya Lecithin can be found in almost all living cells and is high in B vitamins and antioxidants. Natural surfactant derived from Coconut. Sodium PCA is a naturally occurring humectant found in human skin that is a derivative of amino acids. Sodium PCA has high water absorbing properties, and is also considered to be hygroscopic, with the ability to absorb moisture from the air. Regenerating, anti-ageing and softening properties. Non-GMO, derived from soya beans. Spirulina Platensis Powder is the powder obtained from the dried ground of the Alga, Spirulina platensis, Cyanophyceae. Revitalises skin tone, detoxes and vitalises skin. Surfactant based on sorbitol and olive oil. Sorbitol is a sugar alcohol that prevents moisture loss by pulling water by osmosis from the air, hydrating the skin. Natural substance found in plants, such as olives, also the principal liquid and natural emollient found in human skin. Pure form. Natural substance found in plants, such as olives, also the principal liquid and natural emollient found in human skin. Used as a natural fragrance ingredient, surfactant and emulsifier. amygdalus var. dulcis, Rosaceae. Emollient, softening and moisturising. Dipteryx Odorata Seed Extract is the extract of the seeds of the Tonka Beans, Dipteryx odorata, Leguminosae. A species of flowering tree in the pea family, the aroma of the bean is similar tothat of vanilla. It is used in skincare and purfume as a vanilla substitute. Antioxidant, preservative, protects skin. Soluble in oil. Vanilla planifolia is a tropical orchid, which is native to Mexico, these amazing flowers open only one day each year. It is a natural fragrance and has the ability to prevent and reverse skin damage caused by free radicals and environmental pollutants. Water soluble protein derived from wheat, it penetrates the cortex of each strand. It strengthens and moisturizes hair, increases it’s ability to receive and maintain moisture. Naturally found in sugars, thickening and gelling agent, and stabiliser.